Who’s going to win this year’s Tour de France? I dunno, but here’s some people who might. I’ve taken the innovative step of categorising the contenders this year. Let’s start with the first one because those guys are the most obvious favourites. Quick précis of Froome’s recent too-much-asthma-medication case. The World Anti-Doping Agency (Wada) thresholds for the level of Salbutamol in urine were based on swimmers and not dehydrated Grand Tour cyclists. Based on what they know about the circumstances of Froome’s test, they’ve ruled that he only used his inhaler (and honestly, this is pretty low octane stuff by cycling standards) within accepted limits and he’s free to carry on racing. People will talk about this a lot in coming weeks – and the case certainly raises interesting questions – but it really isn’t anywhere near as big a deal as it will seem if you’re purely going off the number of column inches. 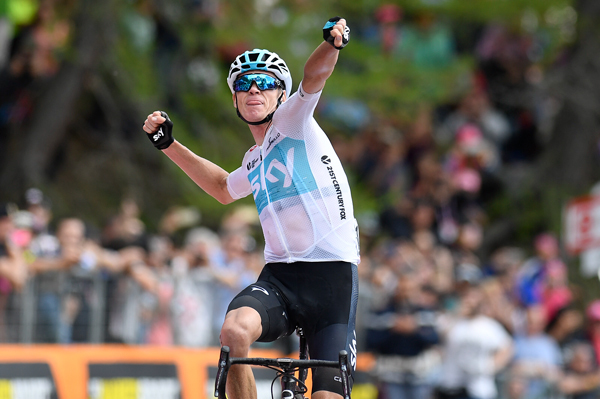 Racing-wise, Froome has won the last three Grand Tours – the Tour de France and Vuelta a Espana last year and then the Giro d’Italia earlier this year (in spectacular fashion). He is therefore the favourite, even if there’s a decent chance he’s been slightly blunted by the last of those. The Colombian probably isn’t quite so good as everyone thought he was – but then everyone thought that he’d scale every mountain minutes quicker than everyone else, so that’s no real surprise. He has won a Giro and a Vuelta and has twice been runner-up in the Tour. Sometimes I think about the time Vincenzo Nibali got chucked off the Vuelta a Espana for cadging a lift off his team car and I wonder why it hasn’t become more of “a thing”. It was so ridiculously blatant as to be comical. You can see footage of it here. Other than that, Vincenzo’s main claim to fame is having won almost everything. He is a hell of a competitor. I’d reckon that the two guys above are physically superior (we’re talking small margins here) but if he’s on form, he wouldn’t need much to go awry for them to be in with a chance of winning this race again. In all honesty, I don’t even know whether the Dutchman will be racing this to try and win it. After the Giro, he might just cruise round a bit and occasionally switch it on for key stages. If he does feel good enough to try for the overall, he’s the powerful guy who copes best with hills rather than mountains. I used to hate Valverde and now – I’m going to make a confession here – I slightly love him. His reputation is of being a wheelucker par excellence and a man who would never ever help a team-mate if there were any way whatsoever in which he could advance his own interests instead. He is without doubt one of the funniest – and therefore best – riders in the peloton. Considering cycling has ultimately been how he’s provided for his family, it’s fair to say there’s a fair bit wrapped in the sport for Rigoberto. He was second last year and that was very much the best we’ve ever seen him. I’m not sure what that means for this year really. Sneaks into this category via a third place in the 2015 Giro. After Quintana and Valverde, he is the third Movistar to get a mention on this page. I don’t know what that means for team tactics. The Frenchman! 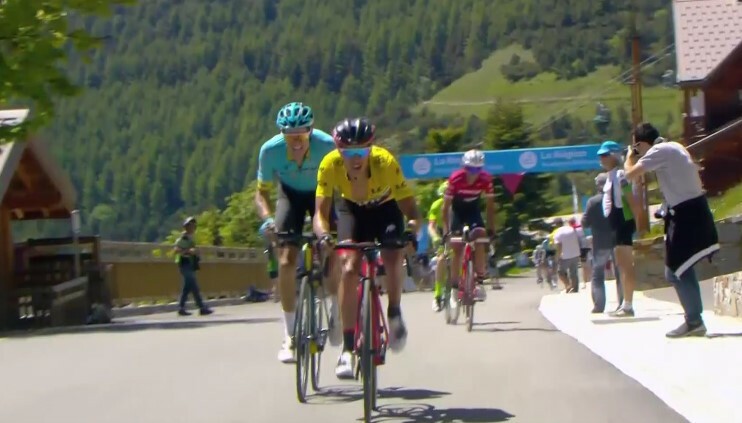 Bardet loves to attack on descents, which is something I hate to watch because I’m soft and squeamish. If he does well, the Tour will be bigger and crazier and more fun. Everyone’s forgotten about the gangly Pole. Like Landa, he’s a borderline entry in this section via a third in the 2015 Vuelta. No-one really knows what form he’s in either. A small, often angry man from Tasmania, Porte wins bags of one week races but generally always finds a new and innovative way to fail in any given three week race. Last year’s crash was truly hideous. Another of life’s crashers and honestly, hard as nails. Thomas finished the 2013 Tour de France with a broken pelvis which he sustained in a crash on stage one (stage one!). Brummie Irishman. Great on hills, getting better at mountains. Awful teeth. Not the Yates who looked odds-on to win this year’s Giro d’Italia only to crack near the end – the other one. He was fourth in 2016, which was the last time he rode the Tour. The Slovenian ex-ski jumper has won two absolutely top-level week long stage races this year: the Tour of Romandie and the Tour of the Basque Country. He’s also won a time trial and a mountain stage in Grand Tours before now. He is definitely one to watch. A similarly balanced rider to Roglic but without the stage race results. He did win Liege-Bastogne-Liege though and he is called Bob Jungels (which, I’ll be honest, is the main reason why he’s getting a mention). He deliberately avoided racing for the overall last year and given his team, I think he’ll do the same again. Just realised Valverde’s in the wrong section. He won the 2009 Vuelta. Certainly FEELS like he’s in the right section though and sometimes you just have to go on feel.